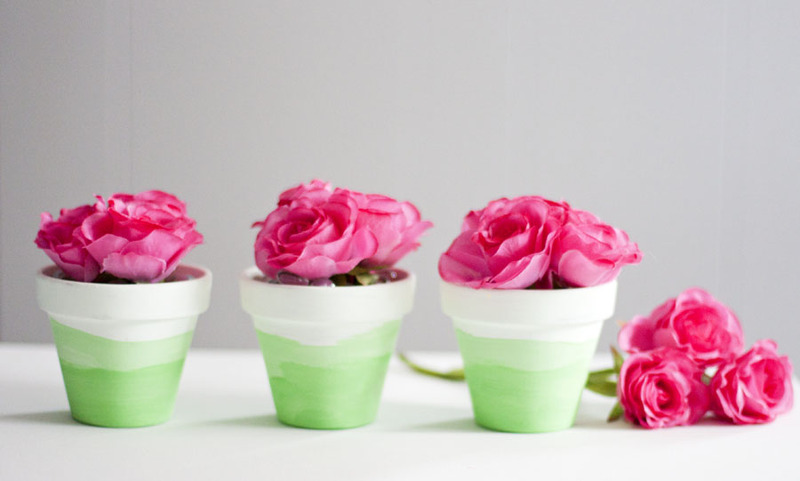 With spring in the air, I can’t help but dream about colorful blooms in terra cotta pots. 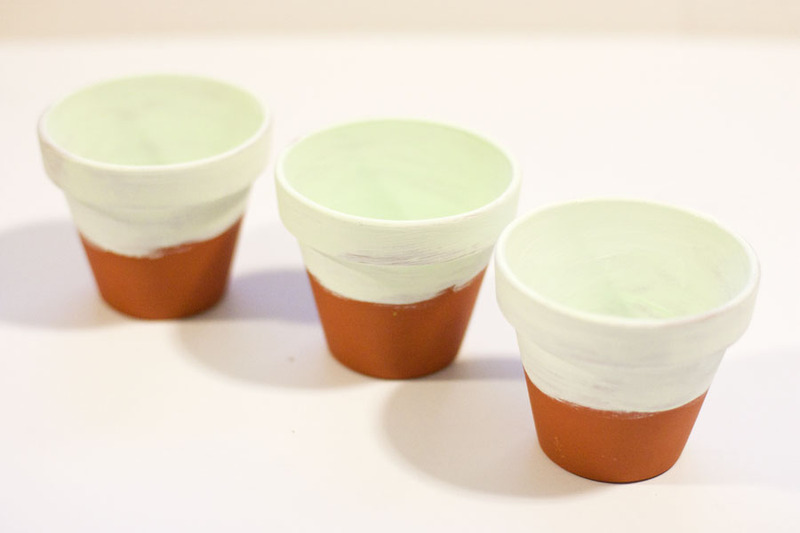 While it’s not quite gardening weather yet here in the Midwest, that didn’t stop me from crafting these adorable mini ombre painted flower pots! For now, my mini terra cotta pots are holding artificial flowers but I may swap them out for something real at some point. Although, I don’t have much of a green thumb so maybe it’s safer to stick with these pink beauties that require zero watering ;). 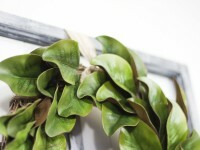 This project is inspired by these ombre succulent planters that Becky used to decorate a baby shower tablescape. 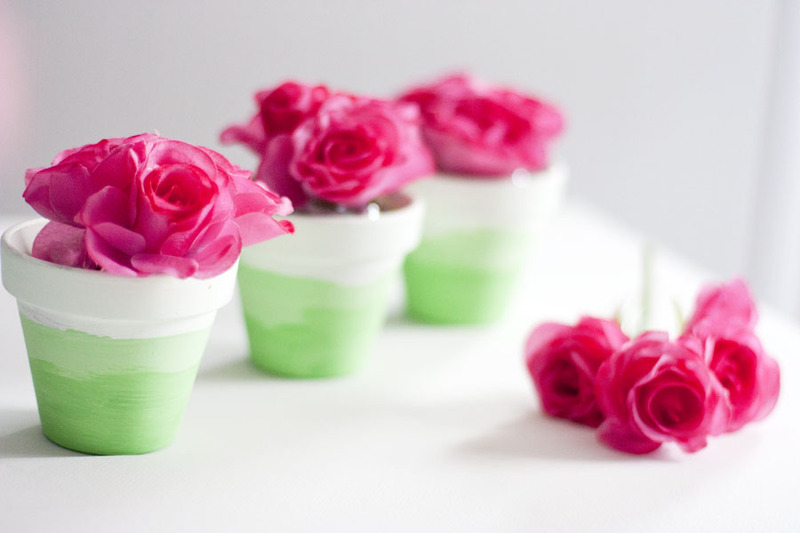 I followed her ombre technique to create my very own mini ombre painted flower pots. 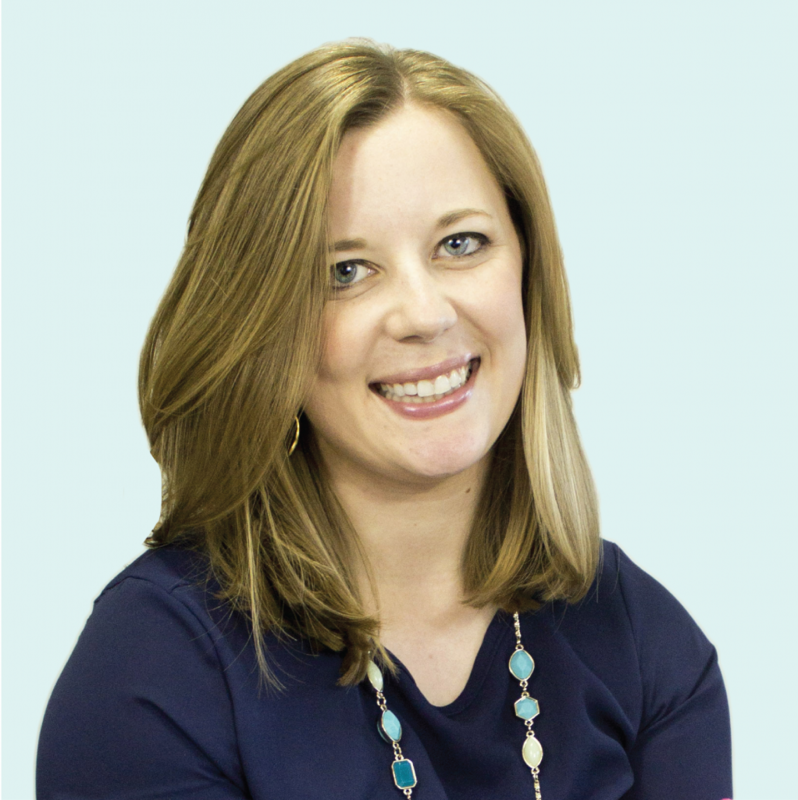 I was also inspired by my friend Amanda, who used her ombre pots for planting herbs! I’m so in love with these little pots! I made a set of three and they are the cutest lined up on the windowsill or grouped on a shelf. They would make a sweet little gift for Mother’s Day or a friend’s birthday or you could give them as favors for a baby or bridal shower. And of course, you can always just make them for yourself ;)! 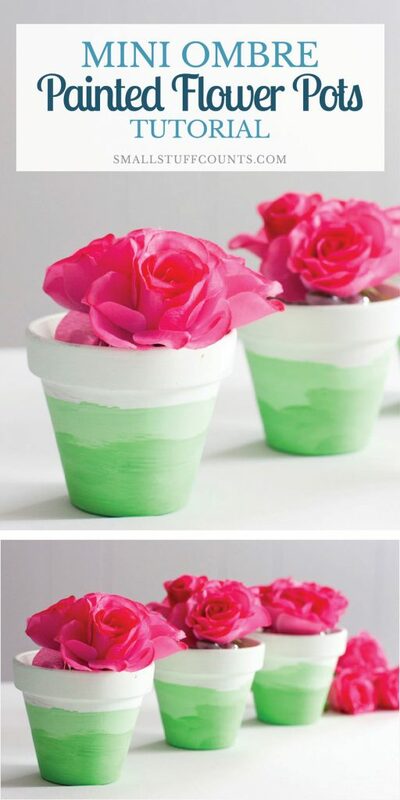 The first step is to mix paint in three shades to create the ombre look on your flower pots. Squirt some paint onto a paper plate and mix with a small paint brush. 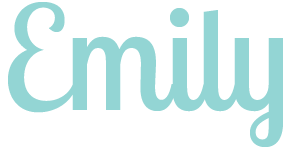 #1 Color (lightest): Mix white with a small spot of your color of choice. #2 Color (middle): Mix equal parts white and colored paint. #3 Color (darkest): Mix colored paint with a spot of white. There is no perfect science to mixing these colors, just play with them until you get shades that you like. 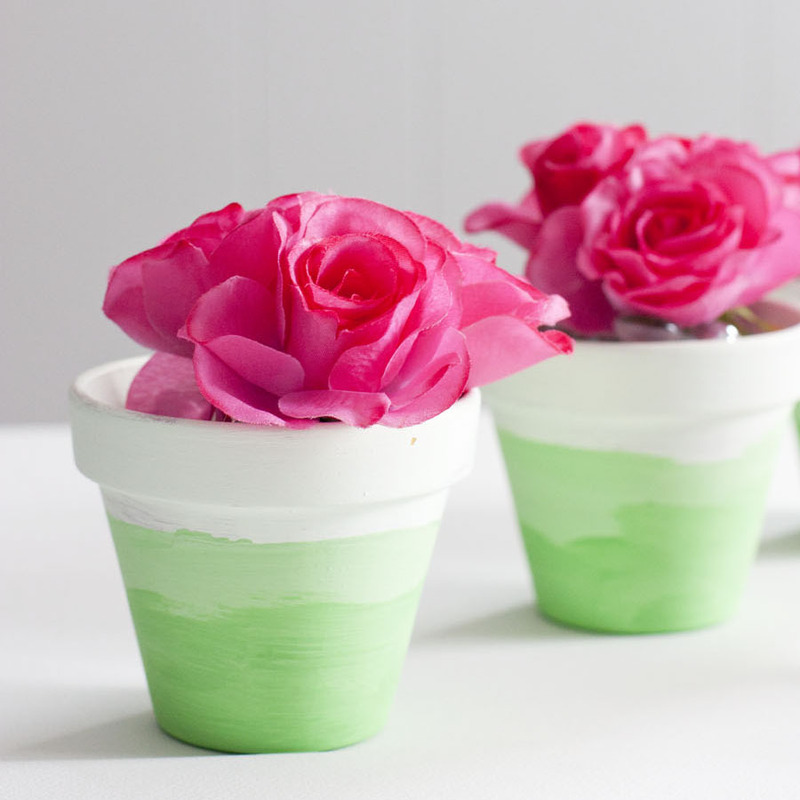 Mix enough paint to cover your little pots, but don’t go overboard and waste a bunch of paint by mixing way more than you need. 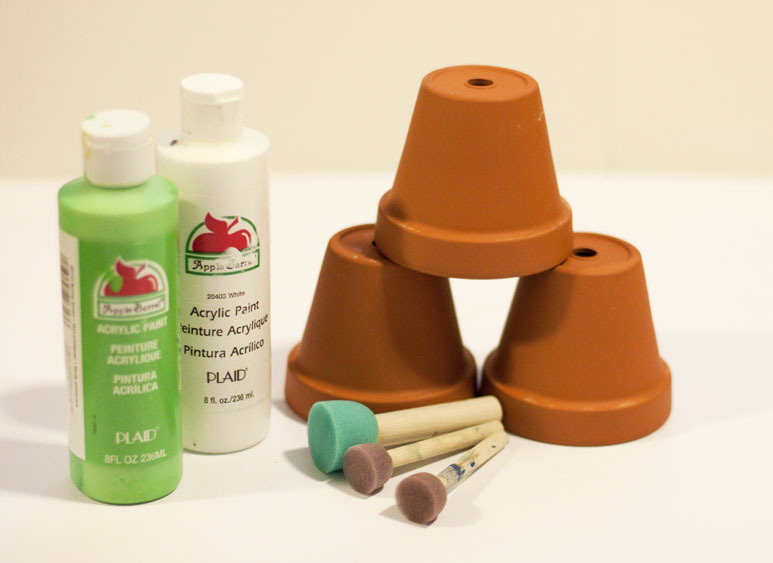 Now use your foam brush to paint the flower pots in the following order. Acrylic paint dries very quickly on terra cotta so you won’t have to wait for more than a couple minutes in between steps. Step 1: Paint color #1 (the lightest) inside the pot and around the top half of the outside of the pot. Since we’re working from light to dark of the same color, you can use the same foam brush for all three colors just wipe off any excess paint onto your newspaper before you begin using the next color. Step 2: Paint color #2 (the middle shade) around the bottom two thirds of the pot so it overlaps with the lighter paint on the top. Move your brush up and down slightly to give the edge of each color a slight wave rather than a crisp straight line. Step 3: Paint color #3 (the darkest) around the bottom third of the pot. Wasn’t that easy? 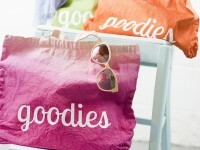 You can’t beat a cheap, fast and easy craft project! 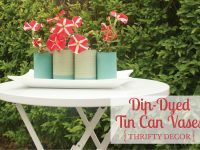 These will look adorable nestled in a cute gift box with a packet of flower seeds or as centerpieces that double as party favors for a special occasion. 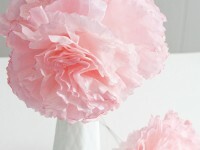 You can obviously fill these with flowers (real or artificial) or they could be used as cute candy jars. I added some artificial flowers from Michaels to my pots and used some clear marble vase fillers to hold the flowers in place. 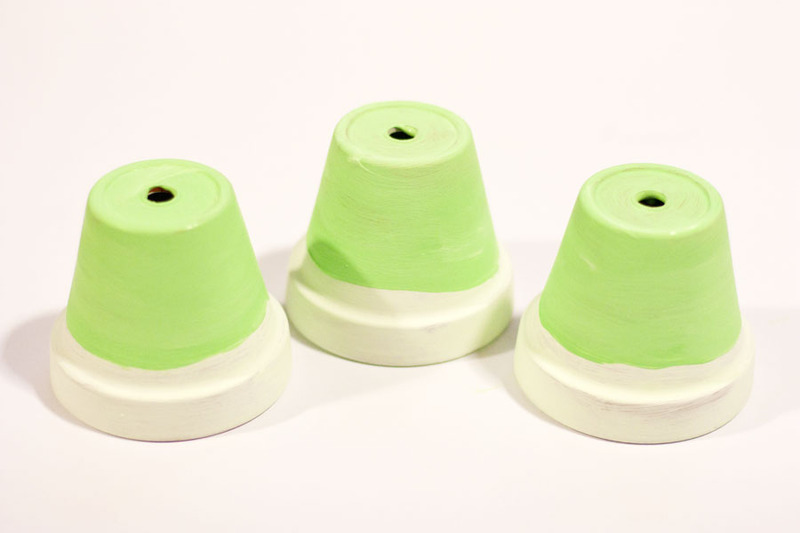 What color will you choose for your mini ombre painted flower pots? Thank you! Everything is cute when it’s mini ;).